Whether it be that traumatic first date or your undoubtedly enviable tenth, the dating world is brimming with simple, stereotypical, inspiring and blinding places to ensure your first impression is the “this ones a keeper” one. Now I’d like to think of myself as low maintenance, easily pleased and always at peace splitting a date bill in half but for a lot of us and I’ll forgive your old fashioned tendencies I’ve pulled all the stops out of the bag, bringing you from date level bargain to bust (you can thank me later!). 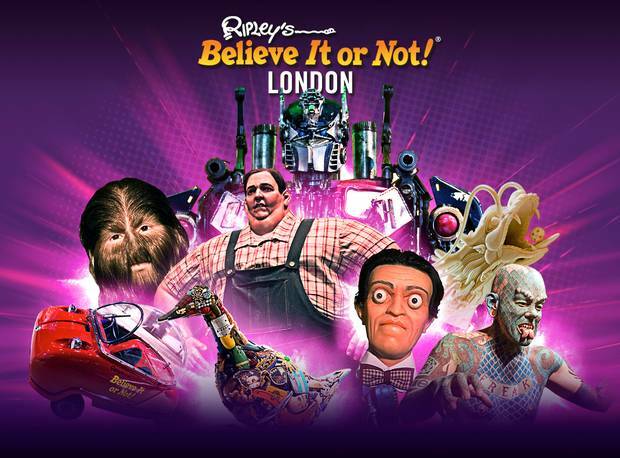 Being a childish soul I couldn’t help but bring you around to the idea of Piccadilly Square’s attraction described as “an extraordinary day out.’ Ripley’s Believe It or Not will ensure that the less talkative types will be consumed by facts, finds and Guinness World records. Entry after 5pm means that tickets are an affordable £16.95 and with Leicester Square, Soho and Covent Garden a stones throw away there are plenty of restaurants to choose from, such as Chiquito’s, Busaba Eathai, Spagetti Italian and Big Easy- mixing Mexican, Thai, Italian and American Grub, just to pick out A few. 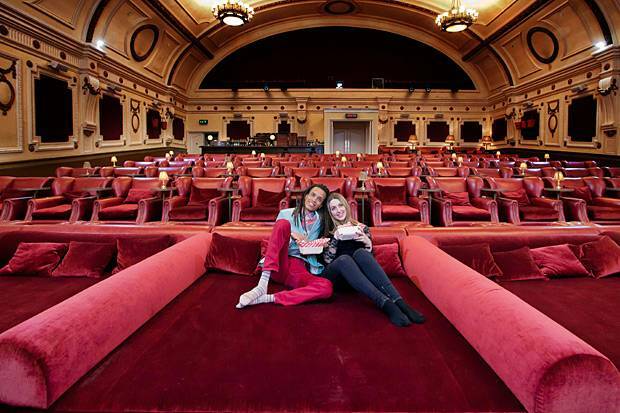 Now usually with the notion of a cinema date, you’d be forgiven for thinking this is a cop out but Electric Cinema have added a degree of debonair flair with their cinema beds perfect for 2-4 people meaning the double dating concept is achievable (and that everyone should behave themselves.) Sunday and Monday rates mean that you can lounge at London’s classiest cinema from as little as £12.50 per person. As a major foodie it would be out of the question if I didn’t lay praise to a few alternative restaurants because nothing beats bonding over your favourite foods or forcing someone to try something new. The Korean BBQ is something that needs to be attempted at least once, playing chef by cooking the food yourself or playing it a little safer with a performance from the chef in front of you. Koba situated in Fitzrovia offers set meals from £6.50 but for a fitting experience go all out and order something you wouldn’t usually. Your date should find this bravery alluring unless the determination falters into squeals of disaster. Looking for more mystery? How does eating in the dark sound to you? Dans Le Noir in Clerkenwell Green offers perhaps the ultimate in blind dating, a dining experience were you are lead to your seats and offered either a meat/ fish/ vegetarian menu. From there on out it’s up to your senses to conjure up flavours and ideas without dropping too much down your front. Offering Parisian cuisine, this might be a little higher in value but just think how amazing it would be to get to know the character behind the rather hot face. When you’re smiling, when you’re smiling, the whole world smiles with you.. and gets you major date points because nothing is more appealing that somebody who knows how to laugh (even at themselves.) 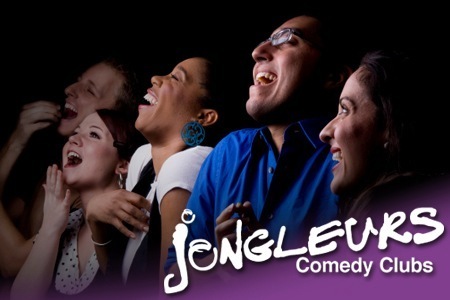 Break the ice and laugh at inappropriate material with one of the many comedy shows across London with tickets from as little as £9. There is always a show to see across the capital and luckily for us there’s always a discount website offering ludicrous deals. For a fraction of the price you can get down to the legendary king of pop- Thriller ticket £19.00 but if the story of one of the craziest musicians around leaves you feeling deflated then don’t worry yourself, there are further more theatre offers, just keep your eyes peeled. So with it being the most wonderful time of the year according to Andy William’s Christmas hit it would be ruthless of me not to bring you something with a festive edge. 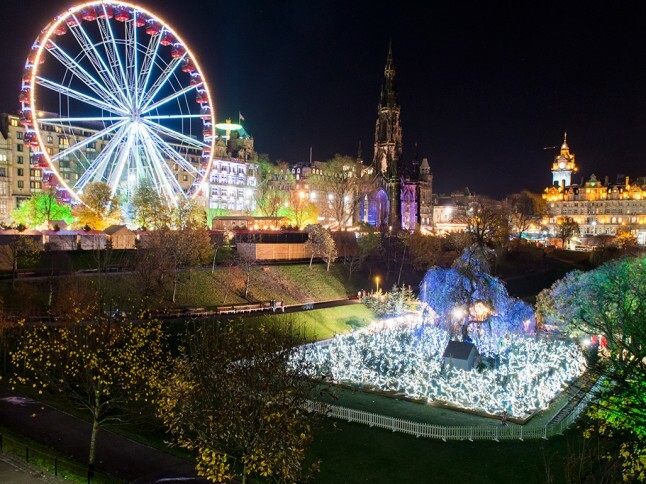 Wonderlands are popping up left, right and centre, with Hyde Park playing host to Winter Wonderland, a free entry snowball of fun and Victoria Park bringing the noise with Winterville. For the cheapskates of us why not head to a warm and cosy pub to break the ice and wet your whistle before attacking some rides, some traditional Bavarian food and mulled wine. It’s getting chilly now giving you the perfect excuse to get a bit closer. Snuggles anyone? To further the festivities and perhaps show off your precocious balancing skills, why not try a spot of ice skating at The Natural History Museum from £12.65, before getting geeky by exploring the museums and exhibitions close by; both the V&A and The Science museum are within walking distance. The party and festival goers of us might prefer this ice skating combo at Somerset House as some of music and night life’s finest spin tunes for you to shake a leg to. Island Records, Lovebox, Ministry Of Sound and Club Le Fromage are just a few so don’t delay as these are one off events and drawing to a close. If none of the above float your boat then may I introduce you to Y Plan!, a new app that figures out what events are happening close to you, events range from exhibitions, to shows, nights out and even better for us, they include date night suggestions. So if you’ve no time to research, let the app do all the hard work for you. Look out on for discount codes across the public transform system and blag even more ridiculous deals. Who said dating had to be hard work?